As a small business, quality employee benefits are not just nice to have. They can also help in attracting and retaining top talent. However, one of the main challenges employers face when providing these benefits to employees is cost. Partnering with a professional employer organization, or PEO, can give you the support you need to offer both quality and affordable benefits. There are a number of costs associated with offering top employee benefits such as health insurance and retirement plan options. In 2019, employer health coverage is expected to rise by 5%, with premiums and out-of-pocket costs for employees and their dependents averaging $14,800. Employers, on average, will cover at least 70% of those costs. Retirement plans have their own set of costs, with fees for administration, record-keeping, consulting and advisory services, revenue sharing, the size of the company, and more. In fact, most companies have to pay at least $8,000 to $10,000 for someone to manage their employee retirement plans. Having quality benefits can also cost an organization time. Management and administration of benefits, auditing, reviewing for compliance and other duties can take time and focus away from strategic business initiatives. These reasons alone make a justifiable case for small businesses to find an option that provides both quality AND affordable benefits for their employees. What exactly is a PEO? A professional employer organization (PEO) offers comprehensive human resources solutions for businesses who have these needs but require additional support to successfully maintain these functions. They are ideal for small businesses who have between 50 and 250 staff members – specifically, the businesses that need these types of services but are not large enough to handle the overhead of internal staffing. PEOs also serve as co-employers. That means that, for the purpose of taxes and compliance, your employees will appear on the payroll of your PEO partner, but you retain full oversight of your staff. In turn, you gain productivity and cost benefit without the overhead or paperwork required to maintain these employees. Working with a PEO can significantly lower costs for employee health benefits because they usually have more than one client, which helps them negotiate better rates for employee benefits. Because of this leverage, they have partnerships with major insurance companies, which helps them receive competitive rates and a large number of benefit options to meet the needs of small business employees. This helps the small businesses offer higher-quality benefits, and free up additional resources for business growth. 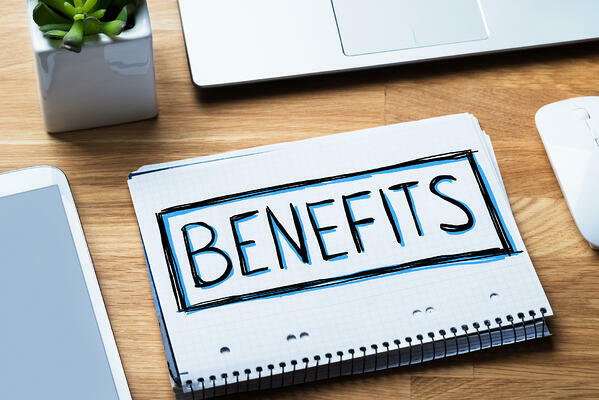 As a co-sponsor of your benefits, the PEO will also take on the responsibility of administering those benefits - including auditing, management and liability - saving you time and money. The advantages of using a PEO to offer top-tier benefits is invaluable in moving your small business forward with quality employees. It can be difficult to attract and retain the right employees, and businesses thrive when they can do both. One of the most important elements of a hiring package is the benefits. The more attractive they are, the greater the chances are that the employee will be interested and invested in the company. For more information on PEOs and the work they do for multiple businesses, contact a specialist at PRemployer to discuss your options with their team of HR professionals. Learn how we can help your business with top-quality benefits and the functionality to support your business as it grows.